Grinding wheels is like being punished. Whether manually or mechanically. The procedure is cumbersome and takes a long time, but still does not give the desired end result. Especially with very intricate alloy wheel structures with narrow spaces. But if the necessary matting of the surface cannot be guaranteed, this will result is insufficient adherence of the subsequent coat of paint. 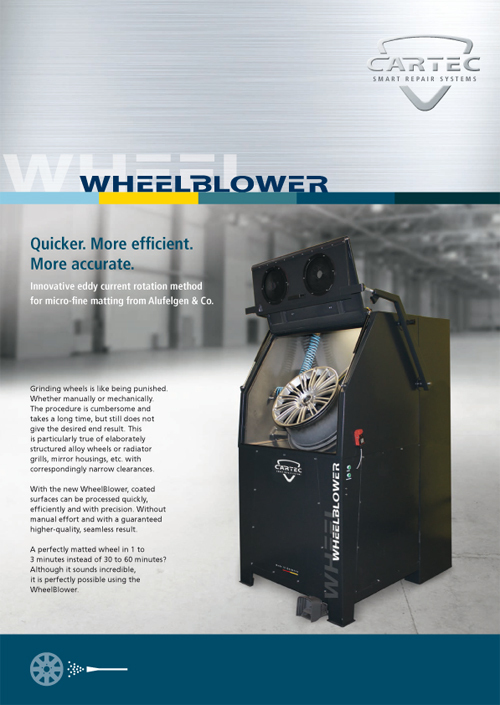 The solution to this problem: the utility model-protected WheelBlower from CARTEC. With the system, coated surfaces can be processed quickly, efficiently and with precision in the “eddy current process”. 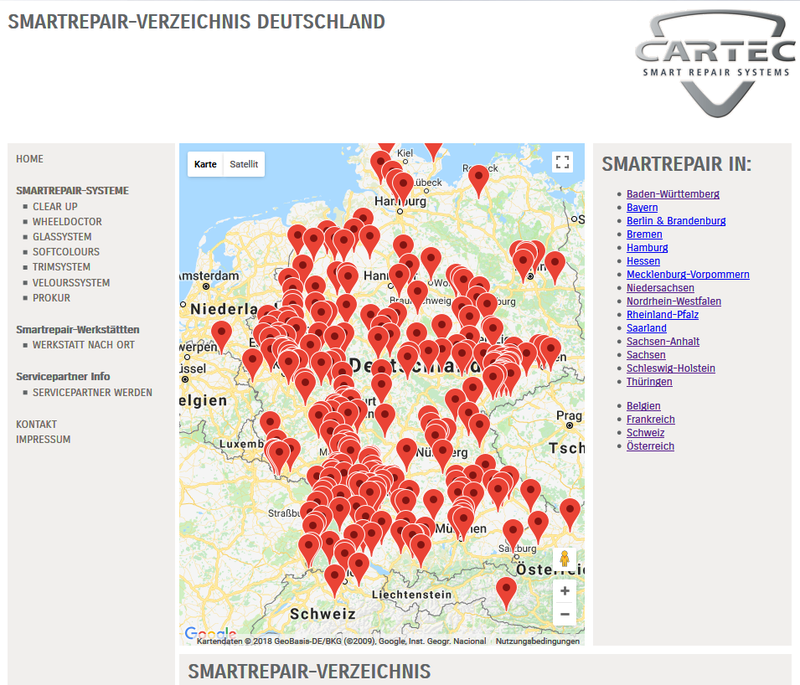 Without manual effort and with a guaranteed higher-quality, seamless result.